Radiant cooling vs air conditioning: radiant cooling is cheaper to install, operate than conventional A/C. This is an interesting article that compares Radiant Cooling vs Air Conditioning in a commercial building in India. 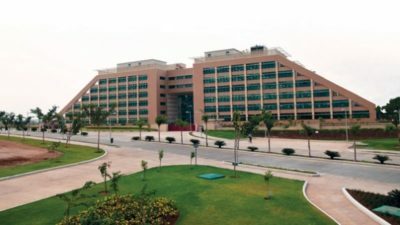 The building is owned by Infosys Ltd., an Indian IT company, in Hyderabad. The 24,000-square meter — 258,000-sq.ft. — building is split into identical halves, each comparably loaded. One half is conditioned with efficient air conditioning, designed to beat ASHRAE 90.1 standards by 30%, the other half is conditioned with radiant cooling. The building has been in operation for a year, so results can be measured.